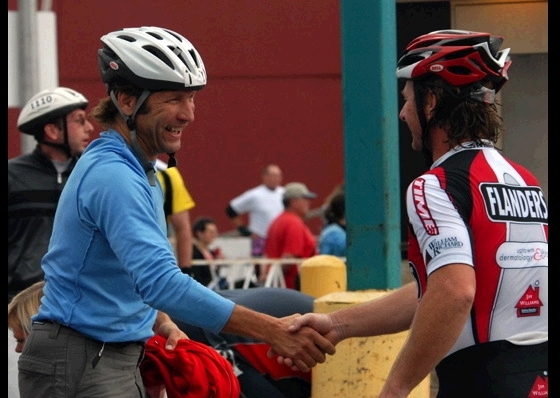 Founder of the Feast - Team Flanders' Ron Lowrie shakes the hand of Rollerblade founder Scott Olson. Olson may have invented the inline marathon, although until this summer, he hadn't skated one for years. Lowrie is a former member of Rollerblade's racing team.